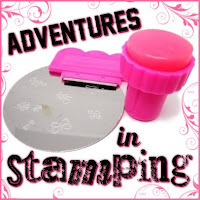 Today I have a review of Bundle Monster Stamping Plate 608. This is another plate from the Create Your Own Collection. The image transferred nice and clean to my nail. The other images on the plate were also etched perfectly. I stamped the image using Milani Black Swift over Spotlight White. I added some color using a few Orly Neons; Purple Crush, Glowstick and Passion Fruit. 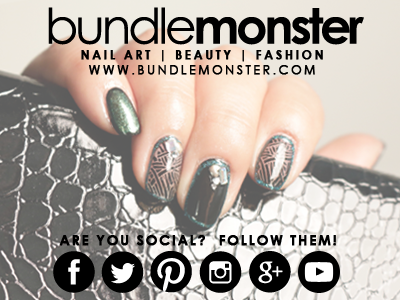 Another great Bundle Monster stamping plate! I love how you added the bright colors to it! The image stamped so beautifully! Your mani is so pretty! Love how bright it is. I haven't tried that method yet - leadlighting, isn't it called? Thanks so much for doing this mani!